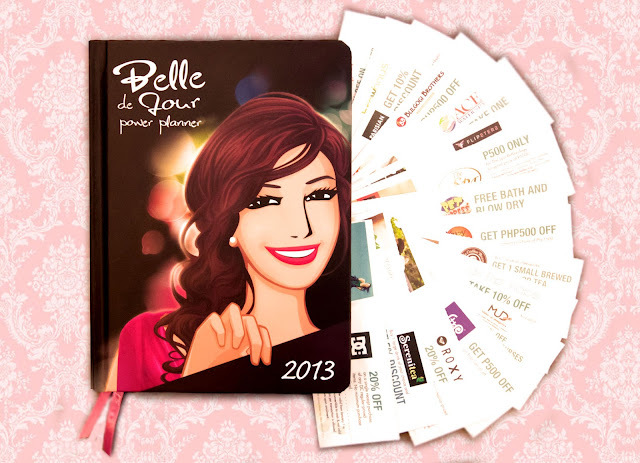 "Belle de Jour Power Planner is especially made for the Pinay fashionista achiever. The BDJ Power Planner is more than just a planner. Well, aside from the php 40,000 worth of freebies and discount coupons, BDJ features special pages that every girl will love to use! Like a wardrobe checker, period tracker, the dreams and goals list, bills tracker, health and fitness plan, a vacation planner and so much more. Keeping a BDJ Power Planner or any journal can be a way of giving your feelings a place like no other, a place where your deepest thoughts can nest without the fear of judgment or need of justification. A journal like this never fails to allow you to be just who you are, it's a personal place where you can travel through life's emotions with gentleness and deeper understanding, and with BDJ, you can do this with chicness and style! Fill it with whatever you like – from doodles, to your favorite quotations or just write whatever you feel. This little thing is the real-life manifestation of your mind and your soul, so make it something that's completely yours! But take note loves, it's not all write and no read! You must always reflect over what you've written every now and then! Looking back on what you have accomplished several weeks, months, or years ago is a beneficial exercise in growth. Always think about what hopes and dreams once written in your journal have now turned into reality. 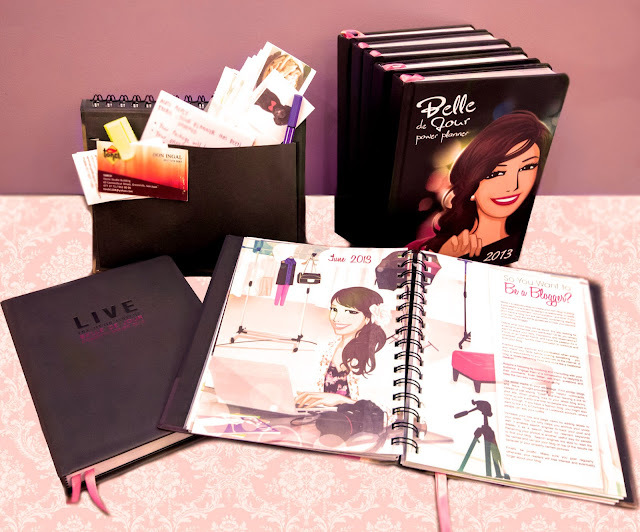 BDJ is so generous to giveaway BDJ Power Planner 2013 to 2 lucky girls! "I'll live my life to the fullest this 2013 with BDJ by _______________"
Deadline will be on November 30! on the 1st of December @ 6pm (Ph time). I will be choosing 1 best answer and 1 will be chosen via Random.Org. follow this blog on bloglovin' or like my page on facebook to keep you updated! This coming 2013, don't forget to write, reflect and assess your life's journey! and you can also purchase from their website!